For both the angler and the jazz artist, no matter what they do, and how they play, there is always room for improvement. Always something they wish they could re-do differently. Something they wish they could have anticipated or imagined better… perhaps played with more effect when they had their chance to do so. That’s not to say, however, that the jazz artist, nor the fly angler, cannot or should not ever be satisfied. But there is a distinct difference between satisfaction and perfection. If you don’t achieve at least some level of satisfaction at least 75 percent of the time when you fly fish, you’re not doing things right. In fact, you’re wasting your time. Go play golf, sit on a beach, shop in the mall, monkey around with model railroad trains, shoot off bottle rockets in the woods, or (perish the thought) go back to spin fishing. If, on the other hand, you happen to lay down that “perfect” cast, tight to the bank, right in rhythm with the cadence of a rising brown trout… and you deservedly hook and land that trout… don’t spoil that moment by thinking you’ve “mastered” the craft. Because by doing that you’ll short-circuit your efforts, right at the point where you might finally be getting really, truly good. You see, both jazz music and fly fishing revolve around harnessing and honing imperfections into a mosaic of order and accomplishment. It’s making harmony happen from chaos. It’s all about problem solving. Expressing ideas. Adapting. Making something from nothing. Without the imperfection, however, there is, in fact, no art at all. And there is never, ever, a black-and-white script that spells out success. Certainly not in terms of notes on sheet music, when it comes to jazz. 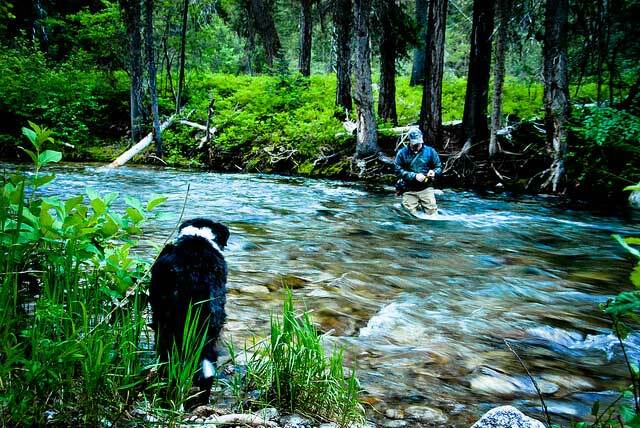 And for sure, no instruction manual for fishing on a river, a bonefish flat, or anywhere else. And there is no such thing as perfect. Some might find that discouraging. I find it liberating.